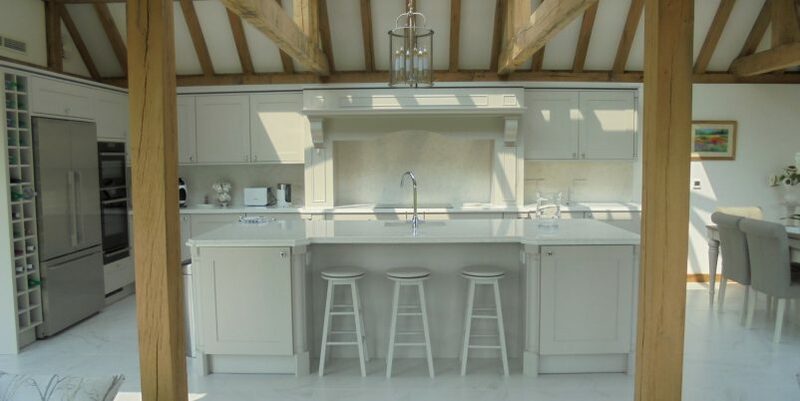 We’re proud of our long standing reputation for delivering incredible kitchens and bathrooms for our customers. 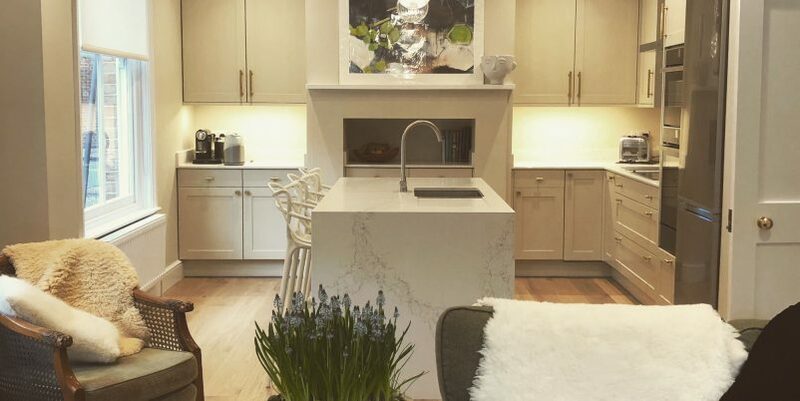 A great kitchen is more than just good design, it is the culmination of a well thought out layout, excellent project management and attention to detail in the installation. 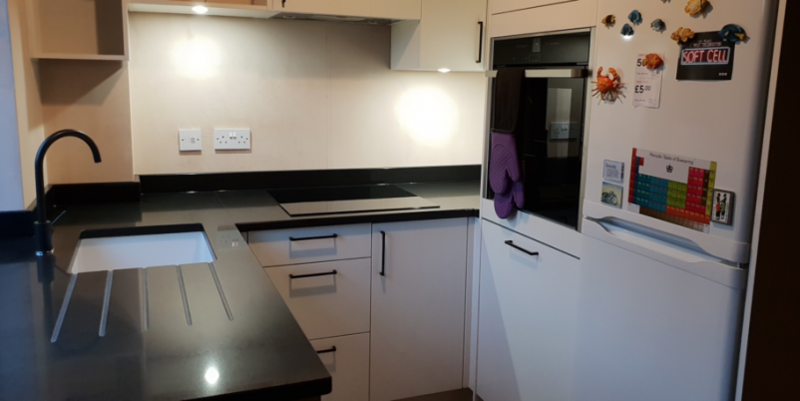 Here are just a few of the recent kitchen and bathroom projects we’ve been working on. 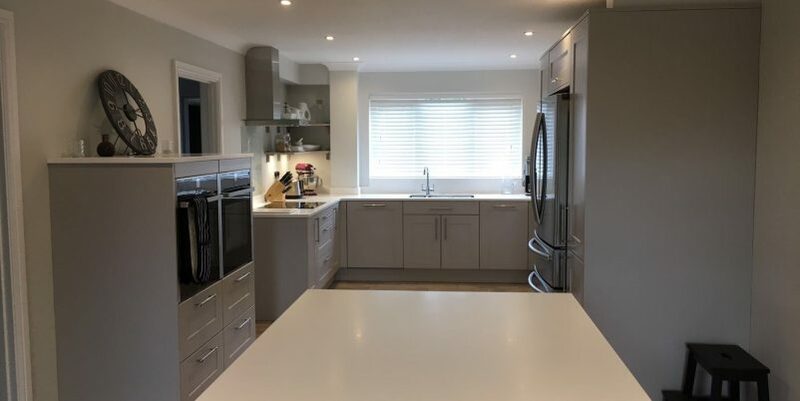 "Our designer's expertise and patience helped us create something that is functional yet looks good"
This project renovated a family bathroom and an en-suite bathroom. 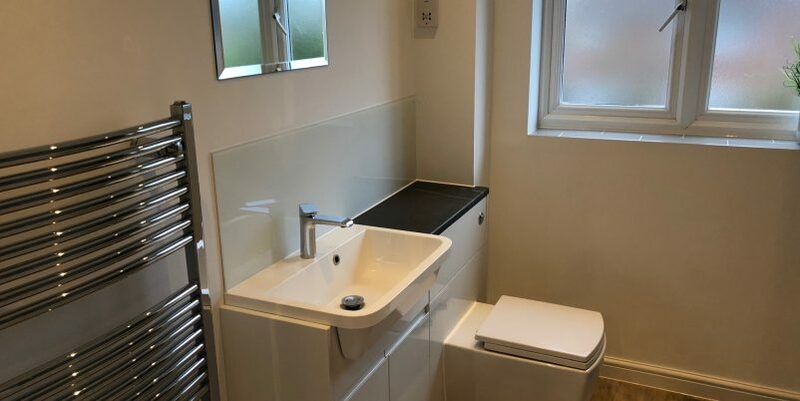 The design was kept simple and uncluttered utilising grey tiles, chrome fittings and white toilet, sink and shower/bath. These bathrooms are perfect for a modern busy family. "Everyone I dealt with at every stage has been wonderfully helpful throughout." 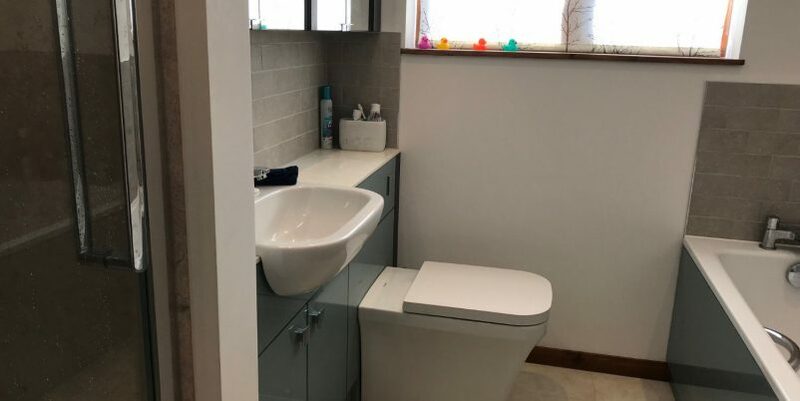 This project to renovate a family bathroom and an ensuite bathroom needed to be stylish and practical. 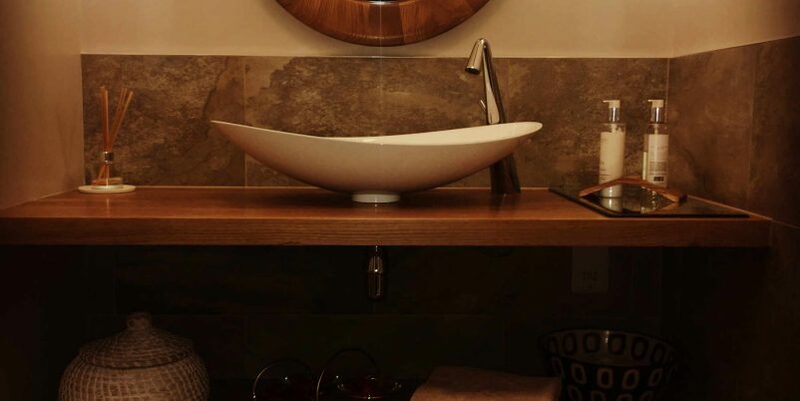 Using a combination of dark and light colours for the floor, panels and tiles, we have achieved two bathrooms which look stunning, but retain an understated elegance. 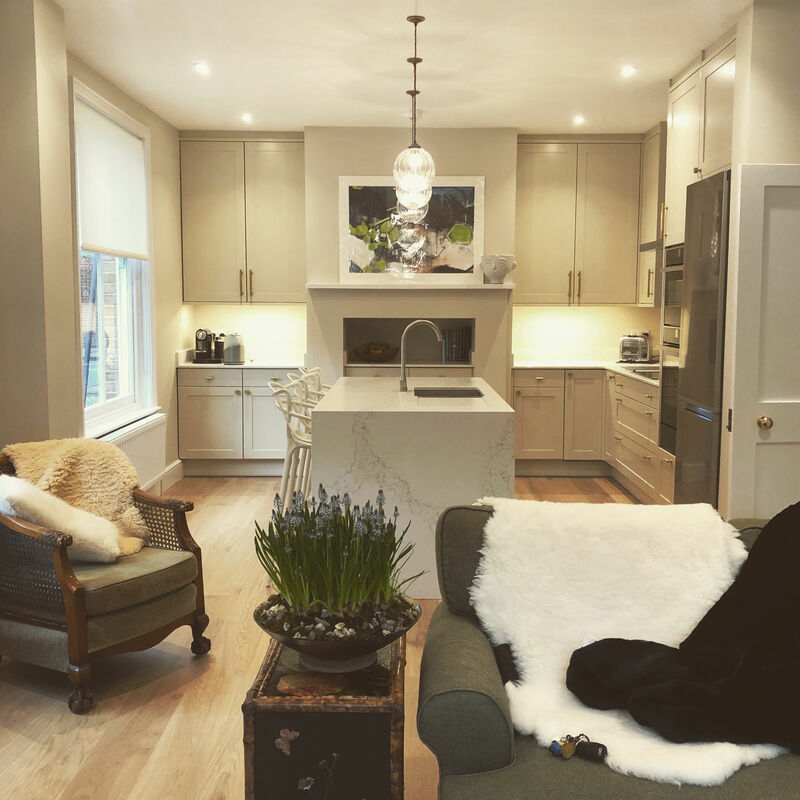 "Very happy with the end result, thank you very much for all the hard work!!" 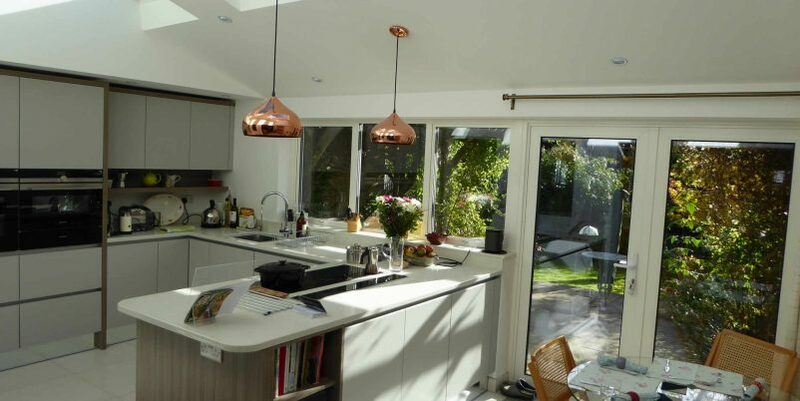 "Wow we couldn't be happier with our kitchen, it is truly is our dream kitchen." 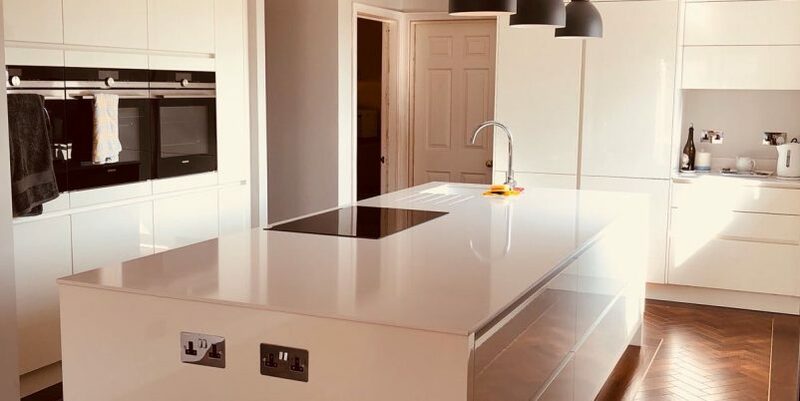 "We were blown away with the professionalism of Cambridge Kitchens and quality of our new kitchen."